Navigation Type - Select navigation type. 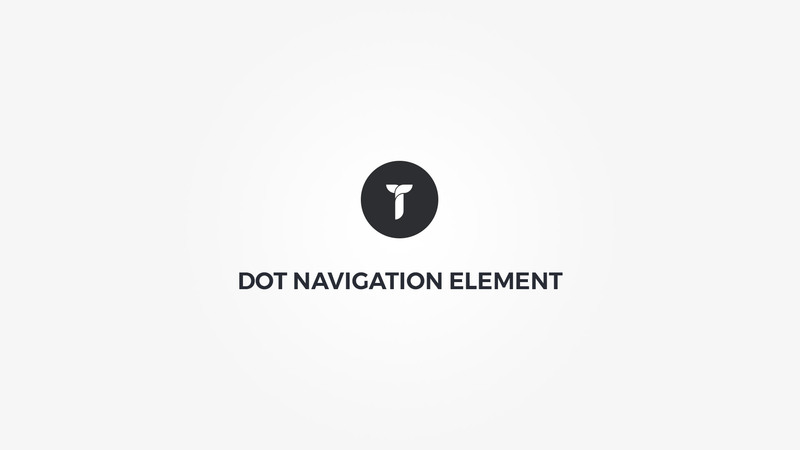 Navigation metrics - Adjust navigation metrics. Show after will show the navigation after user has scrolled certain amount of pixels. If set to 0 navigation is always shown. Custom position will help you adjust navigation top position. Navigation items - Create navigation items. Container metrics - Add custom class or ID to HTML container and adjust visibility on specific devices. Navigation box style - Adjust .thz-dot-nav box style. Tooltip colors - Adjust tooltip colors. Icons metrics - Adjust icons metrics. Title - Set item title. Item Icon - Add menu item icon. Visible only if navigation type is "Circle indicator". Add link - Add link for this item. Scroll to metrics - Adjust scroll to metrics. Used only if linking to anchor ID. Use any page element ID to scroll to this element by simply adding an ID inside the link URL option eg; #sectionid. Than you can use this option set to adjust the scroll to effect. WordPress themes and plugins development. ©2015 - 2019 Themezly™. All rights reserved.